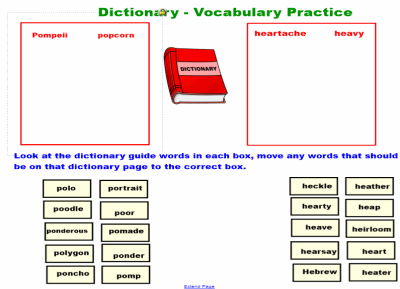 Student will learn how to read dictionary entries. Students will also learn to recognize which words should belong between the index or guide words on dictionary pages. 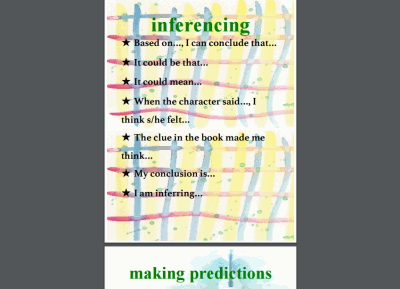 This is a set of 8 full page Thinking Strategies Posters including: Determining Importance, Making Connections, Inferencing, Making Predictions, Questioning, Synthesizing, Using Schema, and Visualizing. When students correctly say what each abbreviation stands for, they cover it with their color circle. 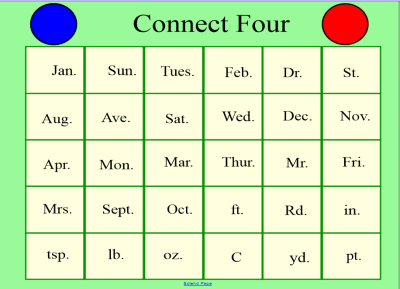 The first student with 4 in a row wins. This PDF file contains 2 pages of questions for students to answer about their experience in your class the past school year. Questions like: "If you could change one thing that happened this year, what would it be?" 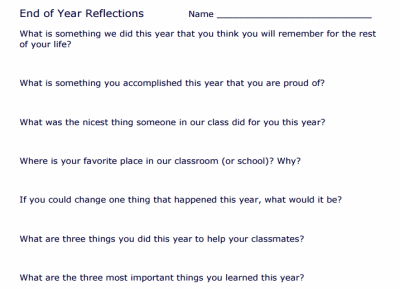 and "What are three things you did this year to help your classmates?". 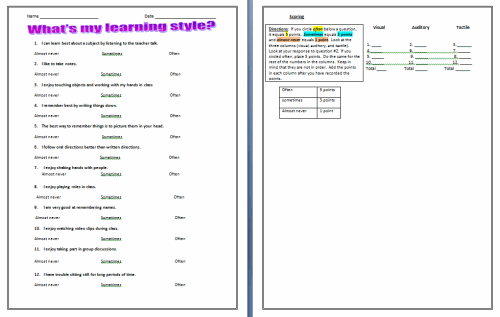 Reading these student feedback sheets can be very helpful and entertaining. Anonymity is best for honest responses. 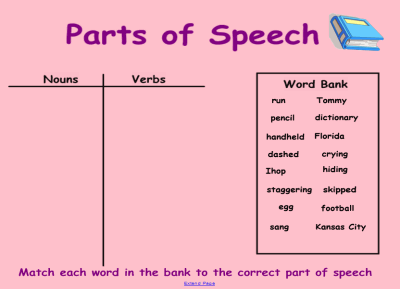 Students separate words into two columns, Noun or Verb in this basic lesson that teaches the difference. 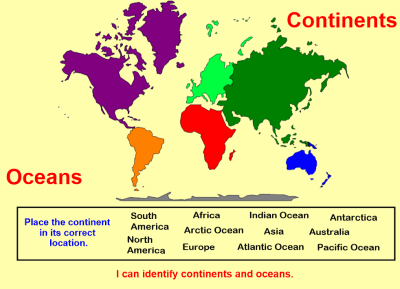 In this simple Smartboard lesson, students will use the world map to label all the continents and oceans by moving their names into the correct locations. This one page (12 question) quiz will enable students to determine what type of learner they are, either Visual, Tactile, or Auditory. Includes scoring guide. 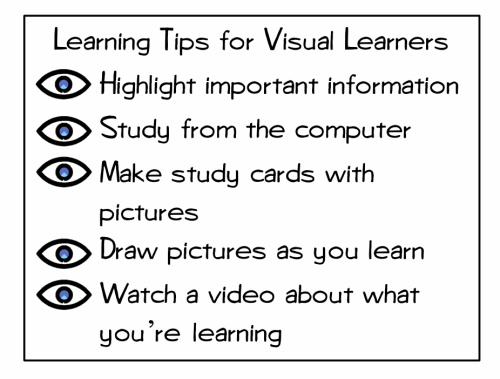 This set of 3 printable classroom signs contains one for each learning style; Learning Tips for Auditory Learners, Learning Tips for Tactile Learners, and Learning Tips for Visual Learners. 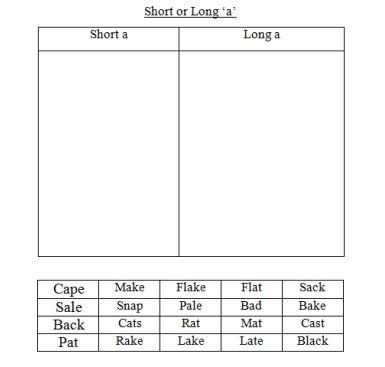 Students will decide which column each word goes in, either Short A or Long A, based on the sound the A makes in the word. 20 words. This 2nd/3rd grade basic math skills test covers Addition properties (Commutative Identity Associative), estimating sums, and 2 & 3 digit addition. 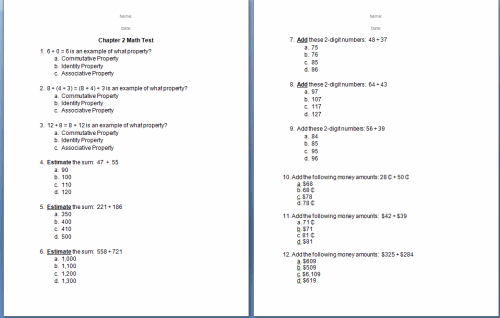 This is a 3 page, 15 question test.